Sometimes, when life gives you what you least expect, a new path is forged. Always, when you surrender your life to God, that path becomes your purpose. Jiana is a mom of many, both biological and 'adopted', grandmother (Jia) of one and former business proprietress. The self-taught skills she has learned throughout her life have been good preparation for founding an organization that brings hope to children and young adults through intentional focus to develop their gifts and talents. The children in Kenya have named her Mwendwa which means, "One who loves much". She is forever creating and thinking up new things to do in Empower Hope and in her life. She loves to cook and she really loves to eat... (and so does everyone who gets to eat her food!) and she especially loves a full house with lots of silliness, laughter and love! Not a day goes by that Bob does not run into someone he knows and, If you're with him, there's a likely chance that he knows someone you know. He has been affectionately deemed, "Bob the Connector". His many years living in and owning several businesses in the Lancaster area has prepared him well for this new venture in life. When most are dreaming of retiring and playing endless rounds of golf, or putzing around in their garage workshop, Bob is dreaming of how he can impact the world from his seat at Panera or from his couch at home (and Sharon says, "Even in his dreams!") We all have a hard time keeping up with him. It is not his higher education, or his business success which qualifies Bob to lead Empower Hope, but his daily reliance upon God to refine the vision which He has placed in his heart. It has been said that when you love people in more than one place, your heart is never truly at home. Sharon, wife of Bob, taught first grade before starting their family of two daughters. With nine grandchildren and four great-grandchildren, she loves being surrounded by family, one on one, or the whole tribe at once! Now some of her “family” live far away in Kenya. Her greatest joy is arriving in Nairobi (although not the 30 hours it takes to get there! ), to spend time with the precious people who call her “Mum”, and then to arrive at home again to be called Mom, Gram, or GIGI! Roselyne is the Executive Director of Empower Hope Kenya. A teacher by profession, she holds a Master’s degree in Christian Ministry. She has also served as Executive Director of two children’s homes. Roselyne brings with her 10 years of experience in serving with the orphaned and vulnerable children. Roselyne is married to Dr. Stephen Mairori and the mom of three daughters and a son. She loves to dance but to the audience of one 😊. Liz is our Education Strategic Administrator. She holds a Master’s degree in Education, (Leadership and Management) and a Bachelor’s degree in Education, (English and Literature). Previously, Liz worked as a high school teacher and an academic officer. Liz enjoys volunteering in youth related activities that are focused on poverty eradication and educating others on how to reduce HIV/AIDS. Liz and her husband live in a suburb of Nairobi. Margaret Chao is our Administrative Director and comes to us with a background in teaching and school administration. She holds a diploma in library and information science. Margaret is married and is raising daughter, Charity, a new baby girl, Neema, and niece, Rebecca . She enjoys trying new foods, especially if someone else is cooking them! Fredrick has mentored and taught Bible studies at his church for many years. Elected as Class Representative at the university he attended and later as Vice President Leader of Students. His love of people, leadership style and servant's heart are just some of what we value in Fredrick and what has led us to place him as our Director of Mens Discipleship and our HUHO Director. Forever reading and learning, Fredrick lists a few of his hobbies as motivating others, traveling and listening'. Fredrick and his wife, Ann, and new daughter, Blessing Wanjiru, live in Nairobi. Joan manages our Tembea Nami program in Kitale. She has worked for a children’s home in Kitale for the past five years. Her compassion for the young teen ladies has connected and with the vulnerable teen ladies in the area. Joan holds a certificate as a Nurse Aid and Social Worker as well as Community Development. She is currently pursuing her diploma in Community Health and Nutrition. Violet has her training in hospitality where she has worked for years before coming to Empower Hope. She is the mother of three daughters and grandmother of two. Violet is a gentle-spirited and humble person who is known for her honesty and hard work ethic. Antony was born and raised in Banana, a small town outside of Nairobi. After completing high school, Antony got a certificate in electrical installation, and also worked with computer systems. When jobs became scarce, he took a position driving a taxi and continued to drive for a company for over 10 years. In 2017, Empower Hope partnered with Antony to purchase a vehicle to begin his own taxi company. He is now our Director of Transportation and we enjoy seeing smiling face first when we arrive in Nairobi. James Macharia is our Director of Communication and Sports and holds a Bachelor of Science degree in Communication and Journalism. Jimmy is a talented footballer (soccer player) who once played professional football with a top premier league in Kenya. He has undergone trainings in sports evangelism and is now using football and other sports to mobilize his community. His infectious smile and quirky sense of humor draws people and children to him wherever he goes. Joseph has devoted his entire life to rescuing and caring for abandoned children. Early in his adulthood he had a vision which brought three street children to him to care for. This began his rescue efforts. Now, 20 years later, with over 120 children in his care, he is known and respected in his community for his selfless lifestyle and love towards orphans and vulnerable children. Empower Hope has partnered with Joseph to walk alongside him and the children to bring hope for a brighter future. He has been described by the Ambassadors as, "Not having one heart, but two." Maureen Kasey was born and raised in the western part of Kenya and completed 6th grade before, due to violence in the area, she moved to live with family in Nairobi. There, she continued her education at New Dawn High School in the Huruma slum, graduating in 2014. She is presently studying social work in college. Kasey loves helping people has a passion for children, and has worked with Empower Hope in the Huruma children’s outreach programs and HUHO at theUbuntu Life Center. Her contagious laugh draws children in and spills out on everyone around her. After completing high school, Kasaine met a sponsor who agreed to financially provide for his college where he studied Travel and Tourism. When he returned home he began his career working for a safari camp. After paying “his dues” with lesser jobs, he moved his way up to the coveted Tour Guide position. This was a long hoped for opportunity and since then has made it up the ranks to ‘Silver Guide’. His true desire, however, was to someday have a camp of his own so he worked hard and learned as much about the operations as possible. Partnering with Empower Hope, Kasaine's dream of owning a safari camp is coming true. Kasaine is married with three children and is currently studying for his “Gold Guide” status. After completing school, Pius became a tribal warrior and a translator for elders in his community. During this time he met Jackson Looseyia, a world renowned Tour Guide in the area. Through Jackson’s influence and mentorship, Pius has become a top-rated Silver Tour Guide. 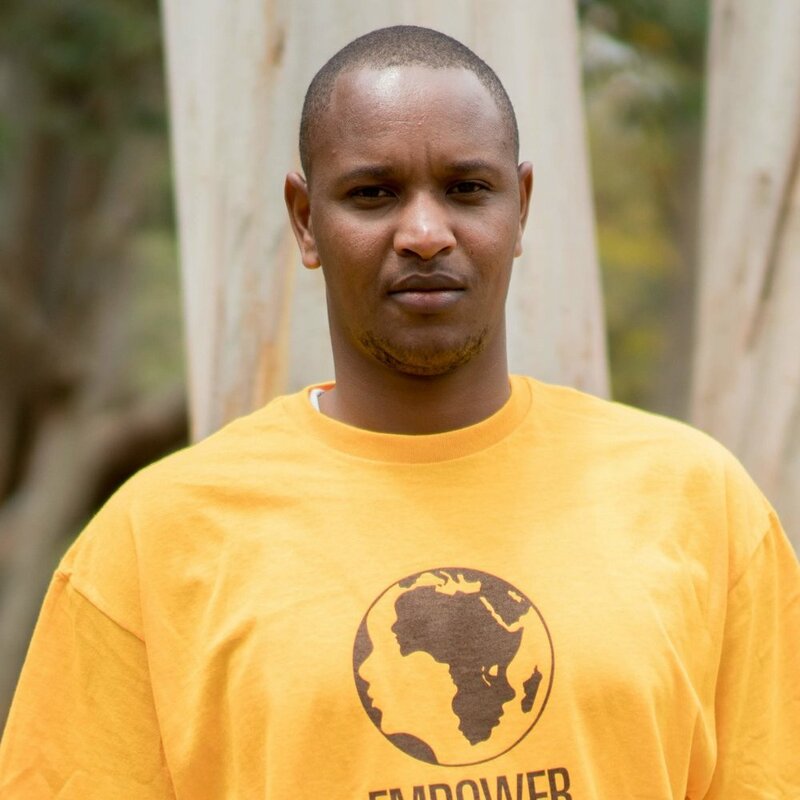 Pius is passionate about educating his community on social, cultural and economic issues. He believes that education is the future and knowledge of Christ will set them free. 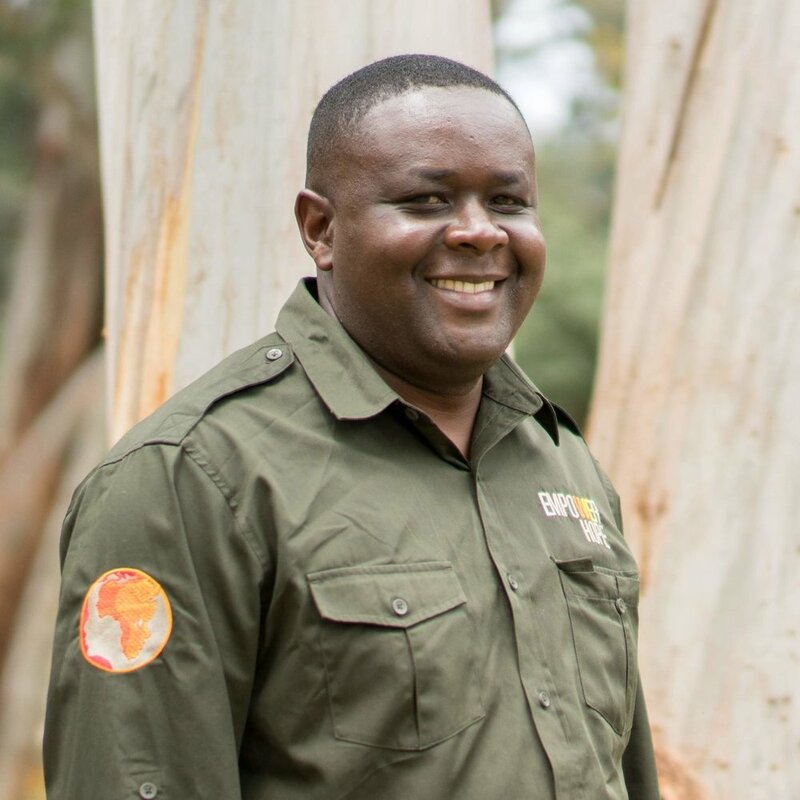 His dream of owning a safari camp is becoming a reality as he has partnered with Empower Hope to create the Tembea Nami Safari Camp whose focus is to empower the next generation to be leaders in their communites. Is a pastor by call, who has had training in Theology, Counseling, Human Resources & Management. He is a trained engineer in metal fabrication where he has worked for 17 years and at the same time pastoring a local church in Huruma Village. "I feel comfortable when with people, listening to their stories and reading my Bible. I strongly believe with God all things are possible and that's why am working with Empower Hope." Pastor Sammy is married to Ruth and has two sons and one daughter. He is currently building a metal fabrication business in Huruma.